More beauty box? Yes please!!! The more beauty boxes that arrive in our market means the more choices we have. Receiving beauty boxes is like a blind date. You don't know what you'll get until you slowly retrieve what's inside the box. And The Lilac Box is your beauty blind date. The subscription will cost you RM35 each month. And you will receive 5 premium products in the box. I'm sure you girls are very familiar with the system, right? But what you're not familiar with is..... FREE GIFT first before you even subscribe to the beauty box. Yeah, you heard me right! Free gift!!!!!!!!!!!!!!! Proceed to sign up for an account with The Lilac Box <<here>>. Make sure all your details are correct. You don't have to subscribe for the beauty box yet. This means, you don't actually have to pay for anything. At the end of your signing up, you will get a choice of free samples that you like. Currently they are offering free Chloe perfume sample, Burberry makeover, and CK Euphoria perfume sample. Since I already have the Chloe perfume and have no reason for a makeover, I've chosen the CK Euphoria perfume sample. And when I went to Isetan to redeem the sample, they ran out of it, which resulted me getting TWO perfume samples from CK. It's just my lucky day! 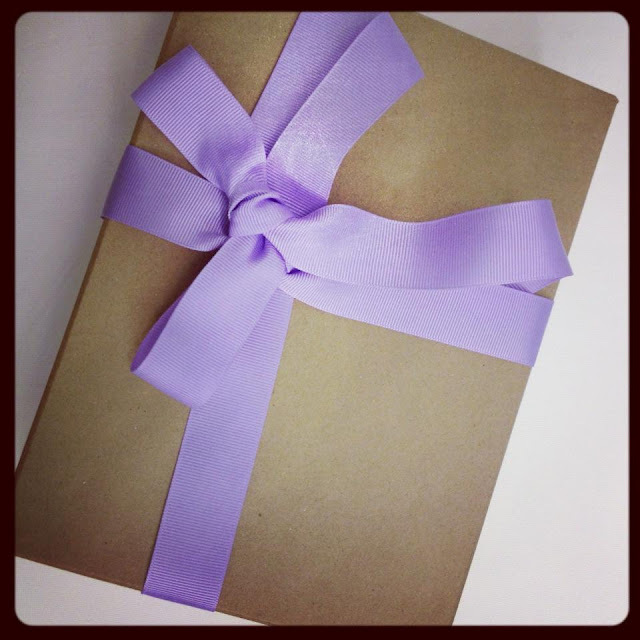 The Lilac Box is launching early 2013, so make sure you sign up now to be one of the first to receive the news. And you can start your year with a beautiful box packed with wonderful beauty products. At the mean time, HAPPY NEW YEAR everyone!!!!!!!!!!!!!!!!!!! If you have a bad year in 2012, glad that it's over and now you can start afresh!! And if you have a great year in 2012, let's hope for more exciting experience in 2013! Do you have any plan(s) for the new year? Personally, I have some secret plans to myself. Maybe I'll share some with you. First, if all goes well, I'm going to hint the mister for... OK, nevermind. Next, I want to buy a house. Hopefully in southern JB. The property there is booming!!! If you have a good credit history, try to get one unit for yourself before it's too late. And then, I want to pay off all my loans. This entire year I live with no income. I was jobless and penniless. Therefore, I've accumulated some loans. A few that I've already paid off, but there are still a bit more that I need to settle. Hopefully, I can clear them off before the first half of 2013. Lastly, I want to sponsor a small part of my little cousin's education. OK. I should stop ranting and live the day! Happy new year to all of you once again. Thank you for stopping by. I'll see you next year! Happy new year! All the best in the year 2013!